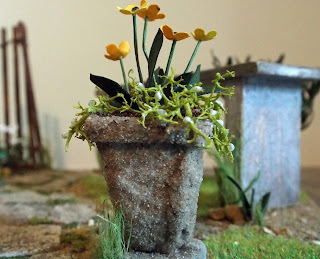 Nostalgia In Miniature Workshops: July Update....A Bit Of This & A Bit Of That! July Update....A Bit Of This & A Bit Of That! Now that we are nearly at the end of July, we thought it was about time we put up a bit of a posting ......where does the time go?!!! 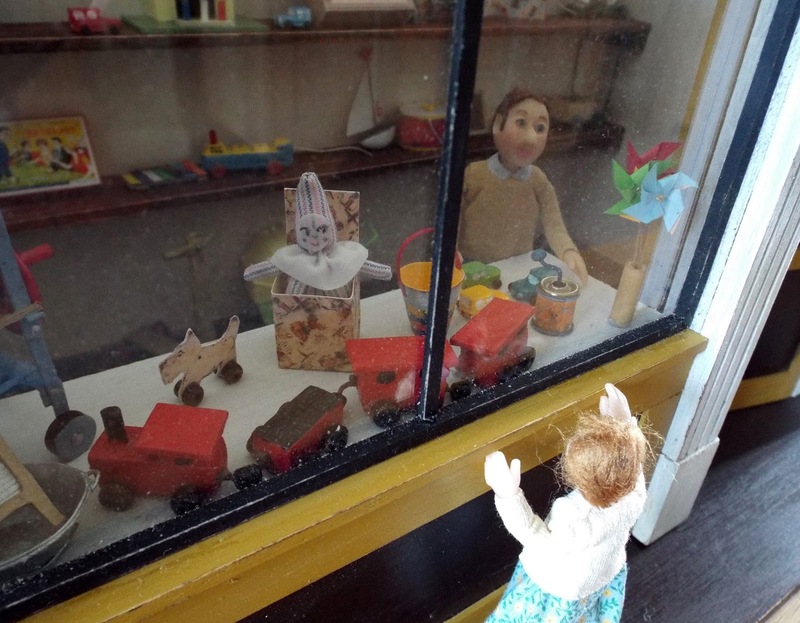 Playtime in the little toyshop! 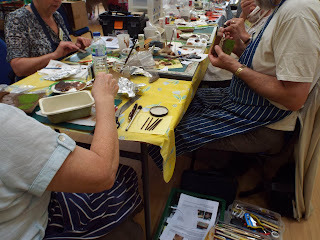 We must start by thanking EVERYONE who attended the two Little Vintage Toyshop Workshops at Bicester last month and also the special workshop at the Cheltenham Miniaturist Club. We very much hope you enjoyed your experience with us and that your little projects are coming along. Please do feel free to email us a photo or two of your completed projects - we would love to see the fruits of your hard work!! Similarly if anyone has got a little stuck whilst completing their projects at home, please don't be afraid to get in touch with either of us if you need some help or advice. Some of the attendees working hard at the Cheltenham workshop. Special mention must go to the ladies and gent we met at the Cheltenham workshop at the beginning of July who undertook this little garden project....thank you for making us feel so welcome on the day. Thank you also for the never-ending refreshments and for the help carrying all our gear to and from our car, it was such a treat for us! At the moment, we have just one more workshop scheduled for 2015, which of course is the Little Vintage Toy Shop Workshop on September 19th. For everyone booked on this September workshop, please note that Robin will be emailing out an invoice early August for the remaining balance. Already, we have made a start on your kits....as the preparation for this particular project is quite a mighty feat! "The Little Early 1900s German Style Shop"
Plans are already afoot for the "BIG" 2016 workshop project. We are aiming for a Saturday in May/June next year, at the same Bicester (Oxfordshire) venue. Sorry but we are not able to confirm a date until the beginning of January due to restrictions on the venue booking system. It will be an all day workshop project again in the similar price region as our current project. We are hoping to create a different kind of miniature shop to the project undertaken this year, as it will be very much in the early 1900s German style - very pretty and antique looking plus we will be offering it in a choice of two scales....1/12th or 1/24th scale. Emphasis will be on the interior only which will have a faded elegant finish. This will be an extremely versatile project and will be offered with a variety of embellishments and elements. Could be suitable for a wide range of uses, and unlike this year's project, we have no plans at this stage to include any contents. We are already compiling a Reserve List, so if you would like to register a possible interest in coming, please do get in touch with either of us. Places will be limited so adding your name to the Reserve List, means that when booking officially opens in January you will be offered a priority place before booking goes live to the general public on the website. If the response is as huge as it was for the 2015 project, then we will consider running the session more than once as we did this year. We will both be attending the Haddenham Dolls House Exhibition on Saturday 14th November at Haddenham Village Hall. We will each be there in our own right as KT Miniatures and Coombe Crafts, but we are also hoping to have a stand with some of the many workshop projects we have undertaken over the years, for you to peruse and hopefully be inspired by. It is a lovely informal charity event, which was founded and run biannually by organisers Freda and George Dorrell. After many years, they have decided to retire from running this event and Thame Fair organisers Felicity & Ron Holland have agreed to take it on, vowing to develop it into an annual event but at the same time keeping the wonderful original ethos. 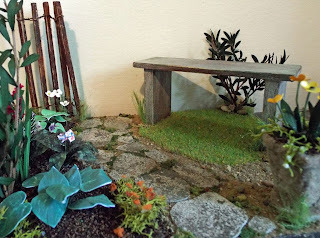 This charming little event aims to promote the miniature hobby to the general public, with all kinds of miniature exhibits by individual enthusiasts, as well as several miniature clubs. Plus of course, there will be a few professional miniaturist artisans with their own creations available to purchase, including us! Haddenham is on the Bucks/Oxfordshire border, just a couple of miles from Thame....but more about that another day.